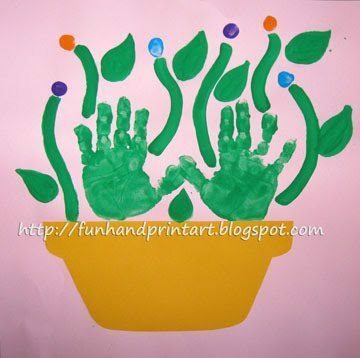 I made this adorable Handprint Flowerpot keepsake with my son for Mother’s Day. We made a similar one a year and a half ago and it was fun to see how much his little hands have grown since then. It even has a cute poem to go with it! 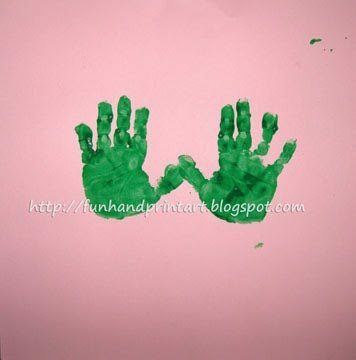 For this handprint project, you will need a bigger piece of paper- I used 12 x 12 card stock (I was able to fit the one I made when my son was a year old on regular-sized construction paper). 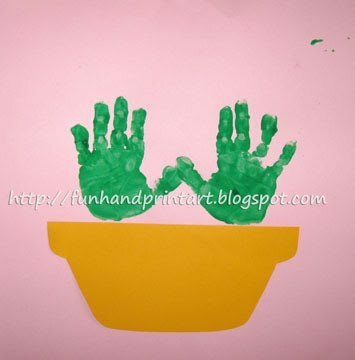 Place 2 green handprints in the center of the page. Next, cut a flowerpot shape from a sheet of construction paper. 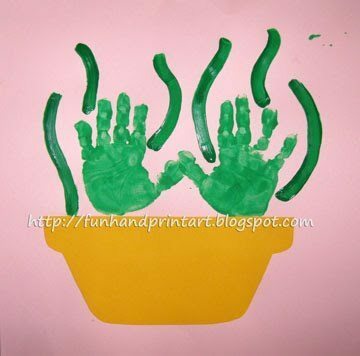 Glue it underneath the green handprints. Add some wavy, green stems……. …. 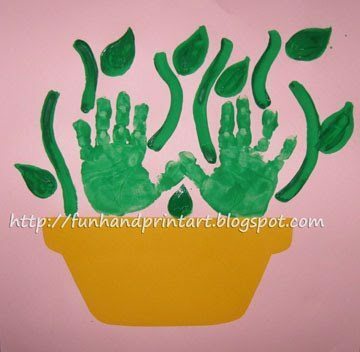 and then paint in leaves ( it might also be cute to use fake leaves from the craft store). After the green paint has finished drying, add in the centers of the flowers. I made these using my son’s thumbprints (or fingerprints) dipped in blue, orange, and purple. For this next step, keep in mind that gentle presses make more of a circular shape and harder presses will form more of an oval shape. 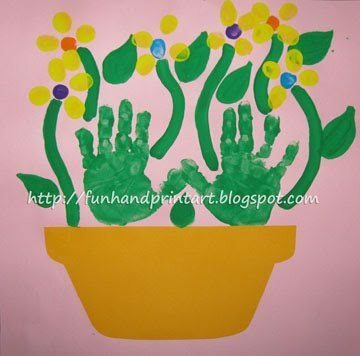 I dipped my son’s thumb (or you could use a finger) in yellow paint and pressed it firmly down in 4 spots around each of the flower centers. Repeat with the rest of the flowers. 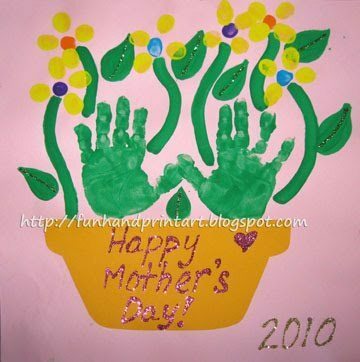 To finish, I used glitter glue to write in Happy Mother’s Day!, the year, and the line inside the leaves (see 1st photo). Looking for more Mother’s Day ideas? We would love for you to check out our past posts! I LOVE This!!! so cute!!! I’m making this with my girls!!! This is so cute! We may do this and make them into cards for the grandma&#39;s for Mother&#39;s Day. Thanks for the great idea! So cute! I will be linking tomorrow! I love all your ideas! You continue to amaze me!